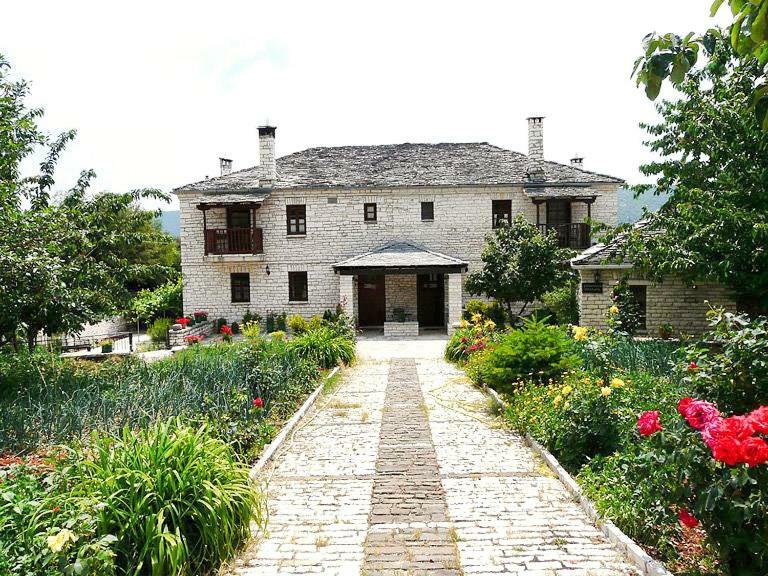 Lock in a great price for Aloni Guesthouse – rated 8.9 by recent guests! Friendly staff that tried their very best despite the language barrier. 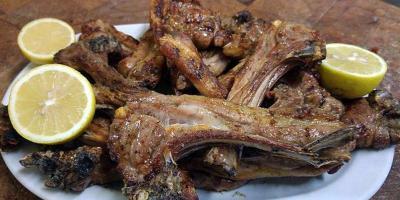 It was clean and very well located and the other villagers were warm and welcoming in the local restaurant. 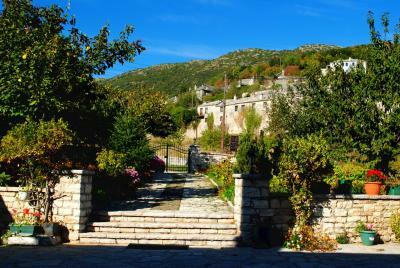 It is in a village up in the mountain and everything was really calm. The owners were very welcoming and friendly. 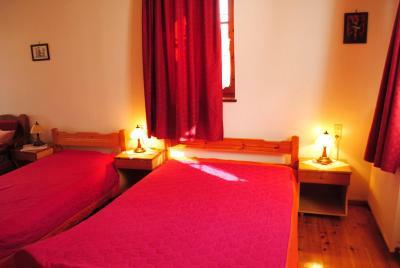 The rooms are very nice, clean and cosy. The location and quiet and it is easy to park next to the hotel. We had dinner and breakfast and were extremely satisfied with both. We highly recommend this guest house. 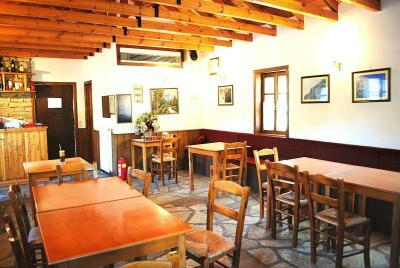 Great location, basic diner and breakfast, very good restaorant uper in the vilage. 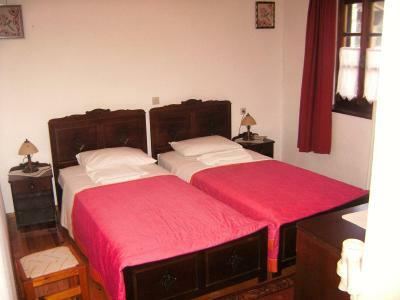 The host are very frienly,small rooms, clean ant comfortable. Large launge and beutiful garden. Beautiful place with a lovely garden owned by a friendly family, very clean and well taken care of for a good price-definitely recommend!!! 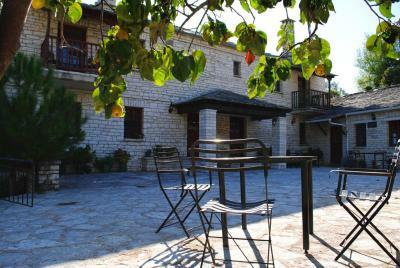 Aloni is a traditional stone-built guest house located in the scenic Zagori, in the village of Ano Pedina. 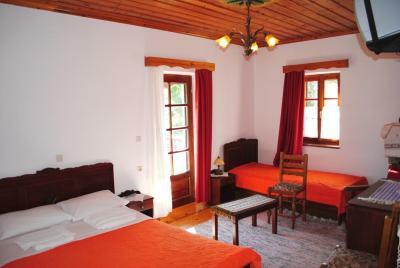 The hotel has a traditional restaurant and two lobbies with fireplace and free internet access. 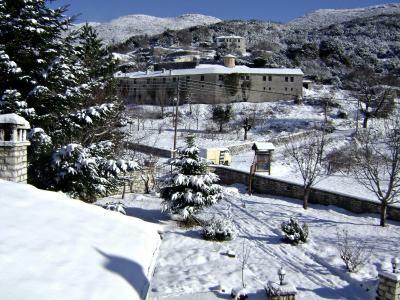 Rooms have views of the mountain and the valley or the village and the monastery. 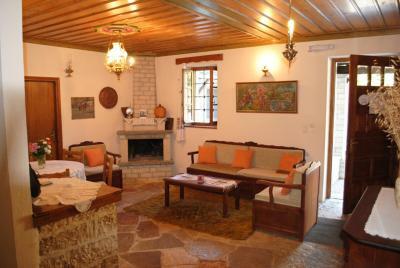 Each is fitted with wooden floors and ceilings and has central heating. All bathrooms have hairdryers and showers. 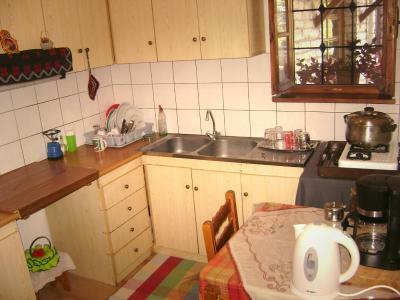 Other amenities include a fridge and TV. 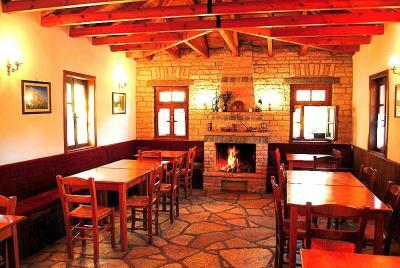 A daily breakfast including jams, pies and local honey is served in the traditional restaurant with fireplace. Guests can enjoy their meals indoors, or at the furnished courtyard. The hotel’s tour desk can assist you in the organization of excursions and tours. 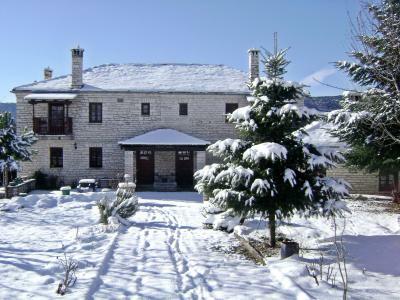 Aloni Guest house is 20 mi from Ioannina. 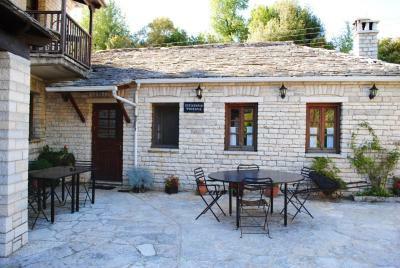 Vikos Gorge is only 3.7 mi away. Parking on site is free. 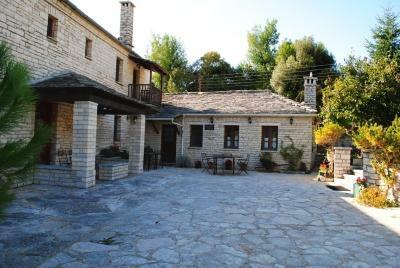 When would you like to stay at Aloni Guesthouse? 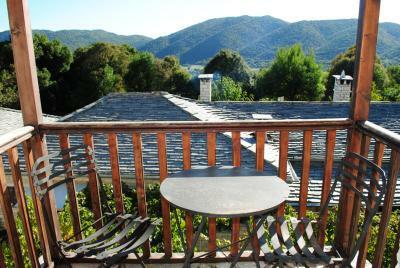 Bright and airy room with views over the mountain, valley or the village. It has wooden floors and ceiling. In-room amenities include heating, a TV and a fridge. House Rules Aloni Guesthouse takes special requests – add in the next step! Aloni Guesthouse accepts these cards and reserves the right to temporarily hold an amount prior to arrival. There was no hob in the kitchen big enough to cook a meal and one light switch in the kitchen was taped down with a plaster/band-aid. And it was not clear that though it appeared that we had booked through booking.com and made a pre-payment, that the pre-payment hadn't gone through and we had to pay the whole price on the day. The rooms were cold, dirty, there was no soap, no food available even in the restaurant, no breakfast. The place is very nice for a lot of trips. The houswife was very nice and friendly. Personal touches from the family were absolutely brilliant. 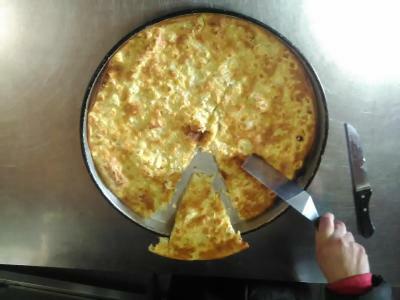 A family run place where the home made touches like cheese, wine, and even music (!) made it the most astounding place to stay in eight months of travel. I definitely need to learn more greek. I almost left and forgot to pay!! The family that runs this place is absolutely wonderful! They’re very nice people, even though we barely speak each other’s languages. The bed is really comfortable. I wish the blankets I had here where I live were as warm and heavy as those! 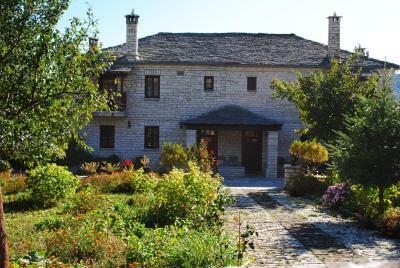 And the location is perfect for exploring the Zagori area.